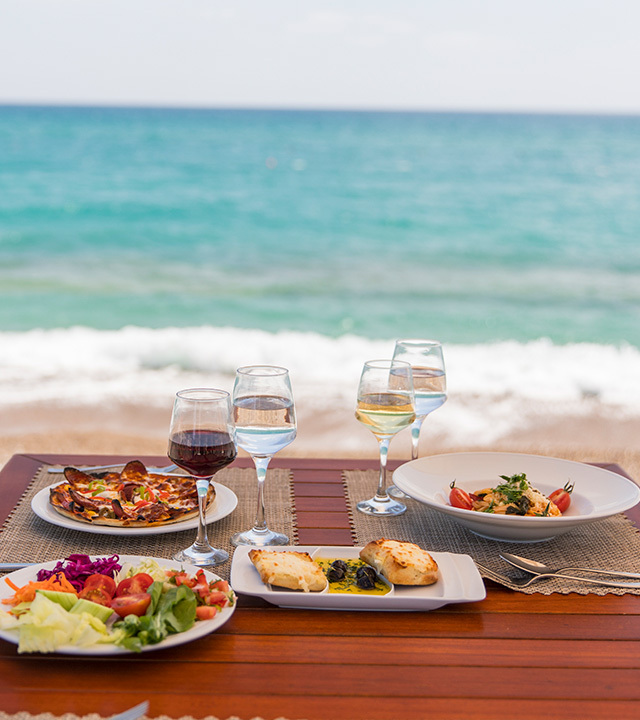 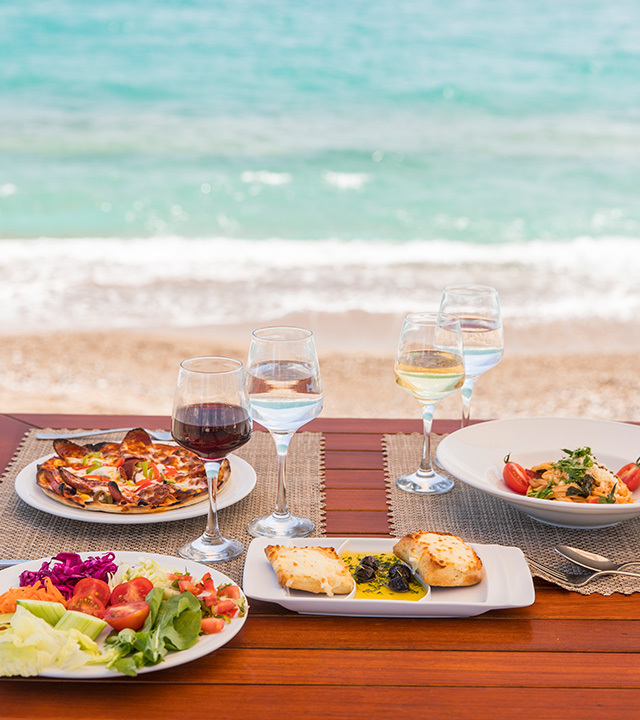 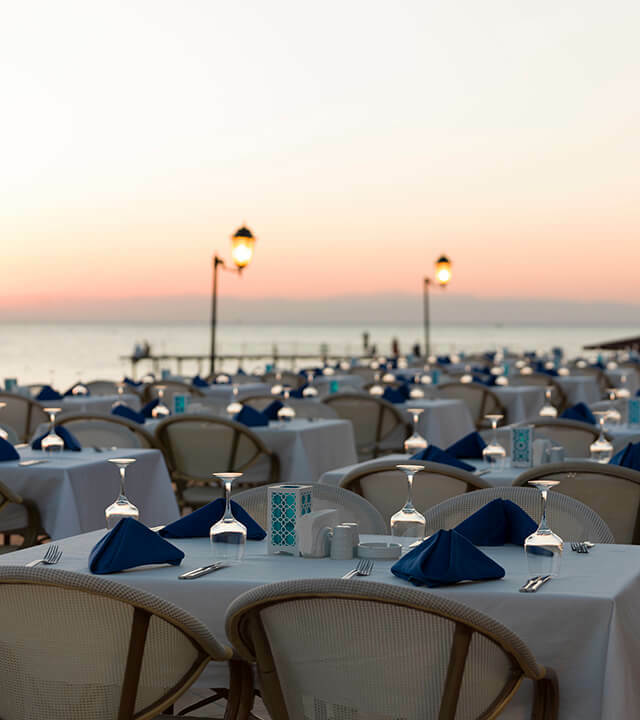 At the Beach Restaurant, you can enjoy a late breakfast in the morning, a variety of pizzas and pastas at lunchtime, and a romantic dinner by the sea accompanied by a sunset view in the evenings. 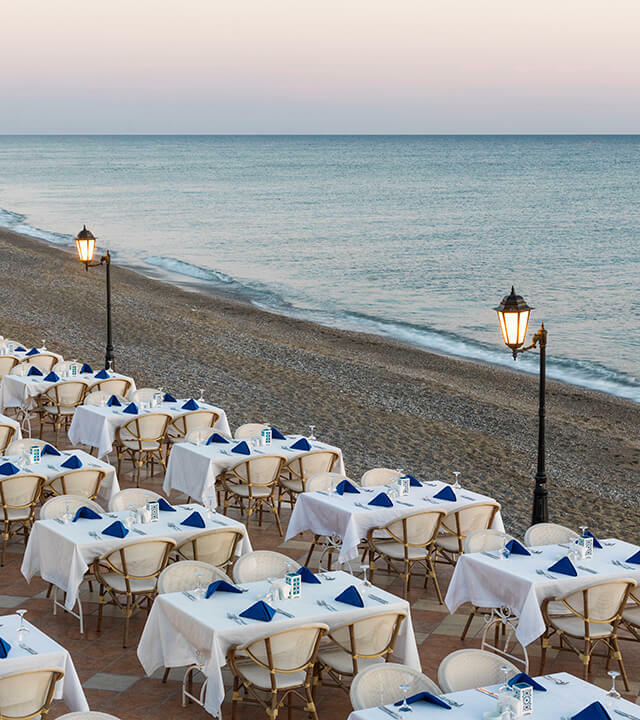 * Beach Restaurant serves on days when weather conditions are appropriate. 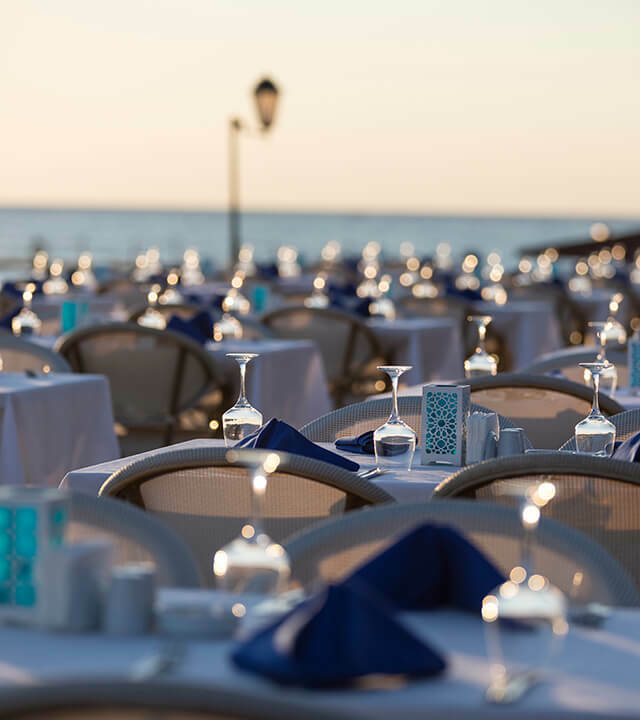 ​At the Beach Restaurant, you can enjoy a late breakfast in the morning, a variety of pizzas and pastas at lunchtime, and a romantic dinner by the sea accompanied by a sunset view in the evenings.